Franchise consulting and program development for businesses in the Los Angeles, CA area. Expanding a Los Angeles, California-based business through franchising requires an understanding of LA’s unique market challenges in order to provide a custom solution designed around your business’ goals and your organizational and brand personality. iFranchise Group’s Los Angeles office specializes in developing individualized strategies, for new or existing franchisors in Los Angeles area, and helps local area businesses leverage their unique strengths, take advantage of strategic opportunities, and reach specific goals. 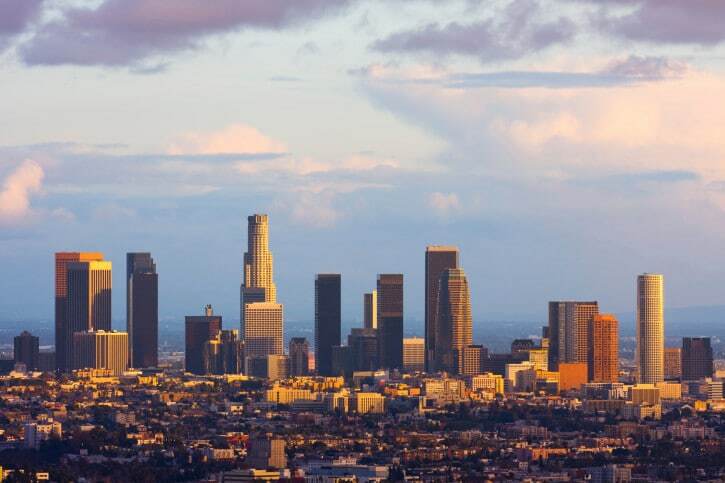 Tourism and hospitality are currently some of the fastest growing industries in Los Angeles. But, there’s more to Los Angeles than being the entertainment capital of the world. It is on the cutting edge of many growing industries, from fashion to biomedical. A notable quality of Los Angeles is its sheer size and incredibly diverse population. If Los Angeles County were split into its own state, it would be the 9th most populated state in America. Understanding the economic and cultural fabric of Los Angeles, and its impact on your business, is critical to creating a successful franchise expansion strategy. And, if you plan to expand your Los Angeles area business through franchising, you’ll likely learn that expanding in markets closer to your current operations is optimal for maintaining quality, supporting franchisees, and controlling expansion. This is why it is important for savvy business owners to choose franchise consultants who have real-life, boots-on-the-ground experience in franchise development, operations, sales and marketing for Los Angeles-based businesses. iFranchise Group has that experience, and can show you how to take the best of your Los Angeles business as you expand through franchising, whether regionally, nationally or beyond. For businesses looking to develop a new franchise program, an iFranchise Group analyst will first provide you with objective advice about the franchisability of your business. This includes an assessment of whether franchising is the best option for you, as well as an understanding of the process (and all the costs) involved in franchising. Whether you are a company seeking to franchise a business or a company already franchising, our franchise consultants bring decades of experience to franchise development and implementation efforts. They have held senior management positions at franchise companies across a wide variety of industries and have built some of the world’s most successful franchise brands. They are prepared with extensive real-world knowledge to help with your initial franchise needs, ranging from the development of your strategic plan, operations manuals, quality control tools, and marketing strategies and materials. Call us at (708) 957-2300 to speak to a franchise consultant and see how we can help.